Christian Bauer is considered to be the world benchmark in luxury wedding ring design and manufacture. It is the marque that epitomises the highest echelons of creativity and quality without compromise. Since 1880 the company has dedicated itself to a single goal: to embody the feelings of lovers in an unforgettable piece of jewellery. 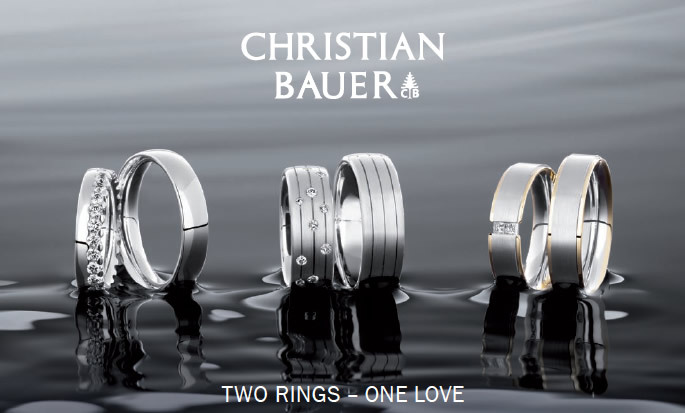 Christian Bauer rings inspire and captivate, igniting emotions and keeping alive the fire of love. Read for yourself about Christian Bauer wedding ring quality with our handmade quality production techniques with premium materials. Experience love and passion expressed through quality and design: in gold and platinum.